The Malpelo Patrol Project is an initiative led by Biodiversity Conservation Trust, an Australian registered charity originally established by Owen and Mary-Ann Griffiths to protect threatened ecosystems in the islands of Madagascar and Mauritius. The guiding principle behind Owen and Mary-Ann’s conservation work is to focus on biodiversity hotspots that are facing imminent threats and are not covered by large conservation organisations. When their son Jacob first visited Malpelo in 2014, he was simply amazed that a place so pristine still existed in an ocean that was being ravaged by Asia’s insatiable demand for shark fin soup. At that time, regular patrols by the Colombian navy had just been terminated and illegal fishing was yet to take off. Having previously visited Cocos Island and witnessed the severe impact illegal fishing has had there over the past decade, the sight of a place as well protected as Malpelo gave him hope that the region’s other hotspots could follow Colombia’s example. Sadly, by the time of Jacob’s second visit in 2015, illegal fishing had become a regular occurrence. Fearing for Malpelo’s future, Jacob teamed up with a Colombian park ranger and Malpelo veteran Erika Lopez to explore the possibility of setting up a new patrol operation in conjunction with the Colombian navy. After 2 years of navigating the Colombian bureaucratic system and generating sufficient support from key figures in both government and the armed forces, an agreement is now in place to resume patrols in early 2018. 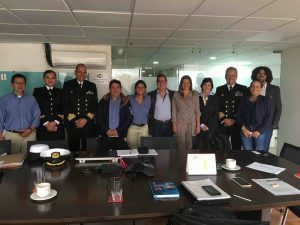 The Malpelo patrol project will be implemented by Biodiversity Conservation Colombia, which is the Colombian arm of Biodiversity Conservation Trust. Emmy award winning documentary filmmaker and founder of Ocean Ark Alliance, David Hannan joined the Malpelo Patrol Project as as a key development partner in September 2016. David is a very difficult man to impress when it comes to the underwater world, having spent the past 40 years diving the world’s oceans and filming celebrated documentaries such as National Geographic’s ‘The Great Migrations‘ and the BBC’s ‘Blue Planet‘. Yet, upon first laying his eyes on Malpelo’s incredible ecosystem, David was so bewitched by the phenomenal concentration of sharks and other pelagic life, that he decided to make the protection of Malpelo one of his life’s key priorities. David Hannan with Yann Arthus Bertrand, creator of films ‘Planet Ocean’ & ‘Home’ and Prince Albert II of Monaco at Rio +20 Earth Summit. Through the Ocean Ark Alliance, David will lead the Malpelo Patrol Project’s educational outreach programs by working with the world’s leading museums and aquariums to foster greater awareness for the need to protect Malpelo’s unique ecosystem. In addition, David is also in charge of media development and has generated keen interest from some of the world’s leading marine conservationists and ‘feature documentary’ producers to bring footage of Malpelo’s amazing wildlife to living rooms around the world. Ocean Ark Alliance (OAA) is a Not For Profit organisation, based in Australia, dedicated to supporting, sponsoring and promoting marine education and the conservation of oceanic environments. OAA is part of a global network of Development Partners that includes world-renowned marine scientists, researchers, undersea explorers, multi-award-winning film-makers and photographers, marine artists and media specialists, educators, conservation organisations and a diverse range of business organisations. PRETOMA is a Costa Rican NGO that has been very active in marine conservation focusing on both the Costa Rican mainland, as well as Cocos Island. PRETOMA also actively participates in global conservation conventions such as CITES, lobbying for increased protection for vulnerable marine species including sharks and turtles. Randall Arauz, founder and director of PRETOMA is a close collaborator with the Malpelo Patrol Project, providing ongoing support and sharing his multi-decade expertise working in marine conservation in Central America. TIRN have been working for over a decade in the wider Eastern Tropical Pacific, focusing their conservation efforts on the Costa Rican island of Cocos, part of the migratory triangle which also links Malpelo and the Galapagos islands. Recognising the close link between the conservation of Malpelo and the safeguarding of the region’s interdependent ecosystems, Todd Steiner, founder and executive director of TIRN has provided mentoring as well as key expertise and support to the Malpelo Patrol Project. Jacob is currently completing his practical training prior to admission as an Australian lawyer and is a founder and director of Biodiversity Conservation Colombia, and a director of Biodiversity Conservation Ltd. Jacob was brought up in a family of entrepreneurial conservationists with a particular interest in biodiversity hotspots that are poorly covered by global conservation organizations. 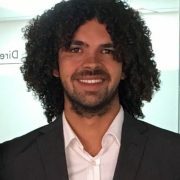 Following in his family’s footsteps, Jacob founded Biodiversity Conservation Colombia in order to help preserve Malpelo as the pristine ecosystem he first visited in 2014. 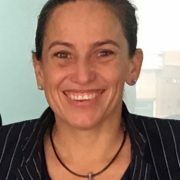 Erika has over 20 years experience in the dive industry and has been (at various points in her career) a commercial diver, diving instructor, Malpelo dive guide and Colombian National Parks ranger. Erika has a bachelor’s degree in agronomic engineering and a master’s degree in environmental sciences, specialising in the migration patterns of pelagic species. Erika is the co-founder and director of Biodiversity Conservation Colombia and has been working in Malpelo since 2011 as a dive guide and National Parks ranger, helping protect the sanctuary against illegal fishing. Randy is an architect, businessman and environmentalist with extensive experience working in both the public and private sector. 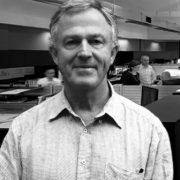 As a principal at global architectural practice Woods Bagot, Randy was responsible for the delivery of major projects ranging from the Sydney Olympics Arena through to multi-unit developments for Macquarie Bank in China. Randy’s public roles have included being elected as Alderman to the Council of the City of Sydney, where he chaired Sydney’s Planning and Community Services committees and drafted the Council’s Total Environment Policy. He was also a member of the Environmental Sub-Committee of the Tourism Task Force and the Federal Cabinet’s Working Group on Tourism and Ecologically Sustainable Development. Randy joined our team as an advisor on overall strategy and governance. 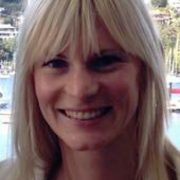 Jilly worked at top-tier Sydney law firm, Ashurst, for 4 years as a commercial litigator prior to joining boutique Sydney law firm Webb Henderson in April 2016. Jilly has acted for both defendants and plaintiffs in common law, equity and Corporations Act proceedings. Outside of dispute resolution, Jilly has had experience in the competition and mining law sectors, advising large Australian clients on various high profile transactions. In 2015, Jilly undertook a 6 month pro-bono secondment at women’s refuge Lou’s Place, providing civil law assistance to disadvantaged women and women at risk. Jilly is a member of the NSW Young Lawyers Animal Law Committee and is a passionate advocate for animal welfare. Jilly is also a keen scuba diver and has joined our team as principal liaison for day-to-day legal matters including drafting and overseeing legal agreements with government agencies and corporate partners. 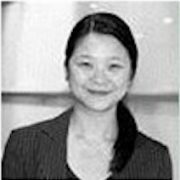 Angela has over a decade’s experience working for top-tier law firms in Sydney, specializing in corporate governance and competition law. In 2015, Angela took on the role of legal director for Australia & New Zealand at global pharmaceutical company Reckitt Benckiser. Angela is also a passionate marine conservationist and avid diver. She has joined our team to provide guidance on regulatory compliance and corporate structures.